Sub-Atomic Particles as predicted in the Quran 1400 years ago. 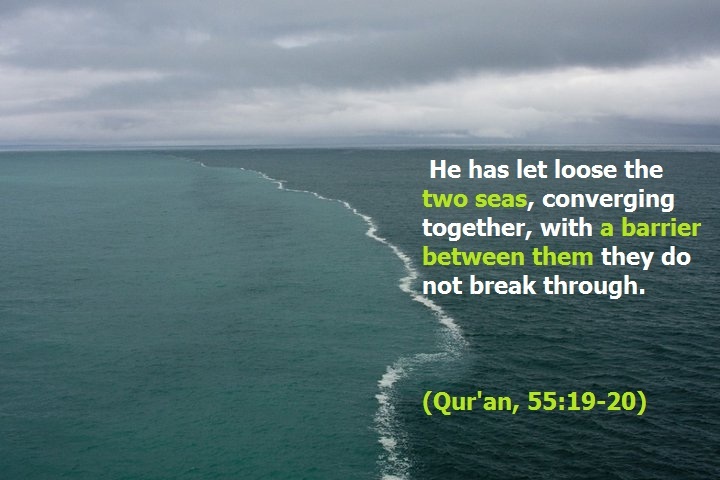 I would like to share with you two verses of the Quran which elude to the currently proven fact of sub–atomic particles. The atom was discovered by Democritus long before even the Prophet Jesus(AS) roughly 400 B.C.E, but only up until 1897 Thompson found the electron, 1918 Rutherford discovered the proton, and in 1932 Chadwick discovered the neutron. Now lets go even further smaller to sub-atomic particles. Sub-atomic particles such as quarks. Quarks were discovered in 1961 in which they are elementary particles that come together to form hadrons such as protons and neutrons. Now 1400 years ago when the Quran was revealed these verses are referencing to particles that are smaller than atom and these particles whether it be protons and neutrons or smaller such as quarks which were only figured out by human beings in the 1900 shows how the Quran in itself as a miracle. Water originated on this earth from asteroids and comets as predicted by the Quran 1400 years ago. I would like to share with you a verse in the Quran that talks about where water originates from in this earth that we live in. I would also like to share with you the science behind the origins of water on earth and how they exactly match up. In the Quran it states, ” . . .and what Allah has sent down from the heavens of rain, giving life thereby to the earth after its lifelessness and dispersing therein every [kind of] moving creature . . .”(Surah Baqarah 2:164). Allah(SWT) tells us in this ayat that he has sent down rain/water from the heavens to give this earth life. Since before the earth contained water it was dry, barren, and had lots of volatile materials. 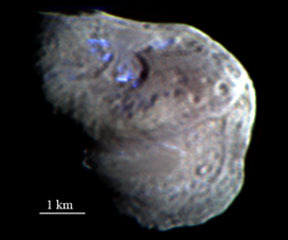 Well scientist have discovered through astrological, archaeological chemical, and biological research that water was sent from comets/asteroids from space that contained ice, in which these comets/asteroids collided with earth and created reactions accordingly with the volatile materials to produce and spread about water over the earth. Scientists even explain how the hydrogen isotope ratios from collected archaeological sites where comets have struck indicate that this is how water had to spread over the earth because this same hydrogen isotope collection is only found in comets far in space that have ice on it. It is extremely clear that Quran is accurate that the water of this earth was sent from above. Insha’Allah we all turn back to Allah(SWT) and ask for guidance, protection, forgiveness, and Junnah-al-Firdaus. Check the link and video from scientists that explain the ratio of hydrogen isotopes that explain how comets with ice are the reason this earth has water. I would like to share with you all a verse in the Quran that explains how the forelock of the brain is the site of lying and sin, in which scientists recently discovered how the prefrontal area of the brain controls motivation to move, initiate and plan which can be extended to the centrality of initiating a lie or a sin. In the Quran it states, “No! If he does not desist, We will surely drag him by the forelock-A lying, sinning forelock.”(Surah Alaq 96:15-16). Allah(SWT) tells us how the forelock, the prefrontal area of the brain, controls lying and sin. It is understood that in the realm of anatomy and physiology is the center for motivation to cause movement and aggression. As stated in the text, “Essentials of Anatomy and Physiology” by Rod Seeley. If this area of the brain causes motivation and aggression it will then definitely trigger sin and lying because these results are simply by-products of motivation and aggression. Now back to Islam. The Quran is truly the word of God because 1400 years ago the capability of this type of scholarly research and analysis in science was unfathomable. Insha’Allah we all turn back to Allah(SWT) and ask for forgiveness, guidance, protection, and Junnah-al-Firdaus. I would like to share with you this hadith in which the Prophet(sallallahu alayhi wa salam) told about the nearing of the Day of Judgement. I will only put up the part of the hadith which talks about earthquakes because the full hadith is long and delves into various other signs. I would also like to show you how this sign is mentioned in the Quran. Here is an english translation of Surah Al-Zalzalah: “When the earth is shaken with its [final] earthquake. And the earth discharges its burdens. And man says, “What is with it?” – That Day, it will report its news. Because your Lord has commanded it. That Day, the people will depart separated [into categories] to be shown [the result of] their deeds.So whoever does an atom’s weight of good will see it, And whoever does an atom’s weight of evil will see it.” (Quran: 99: 1-8). Now if you look up the history of earthquakes and the occurrence of earthquakes the results may be a shocking. Many years ago earthquakes rarely happened, and now they are happening with many in one day. 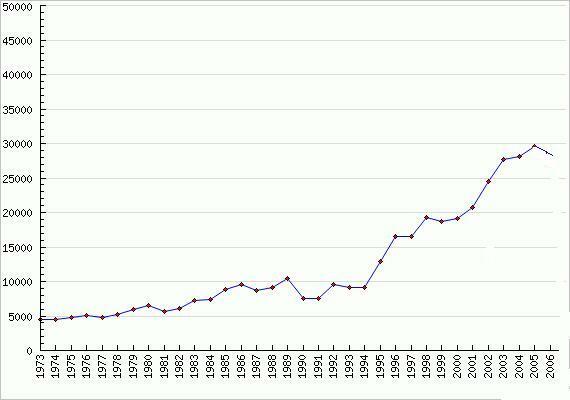 The image below shows the trend of earthquakes from 1973 up until 2006, but the earthquakes have increased even more in 2013 as exemplified by real time data from the United States Geological Survey(This site is listed as a link below). How can a scripture and a man be able to predict this increase in earth activity 1400 years ago, unless it was divinely inspired. Insha’Allah, we will all come back to Allah(SWT) and ask for forgiveness, mercy, guidance, protection, and paradise.